Do you like old-school muscle cars? The Dodge Demon? Carbon fiber? What about all three? If so, the folks at Speedkore may have the perfect car for you. 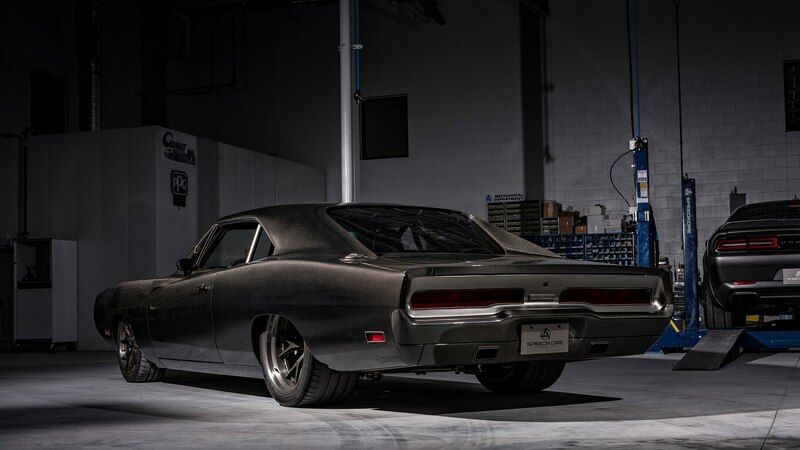 Called the Evolution, Speedkore’s big build for this year is a 1970 Dodge Charger. But while some of the Wisconsin-based tuner’s builds have used carbon fiber here and there, the Evolution is basically all carbon fiber. 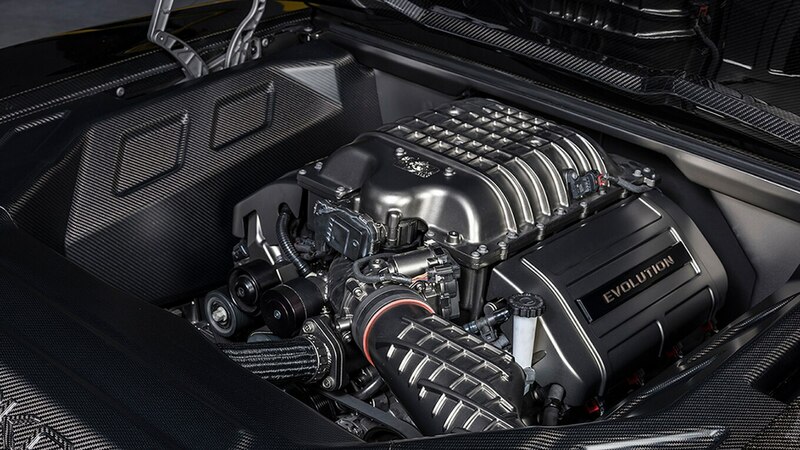 Speedkore says the car has “a fully carbon fiber body structure – from roof to quarter panels, fenders to doors, trunk to hood.” Under the hood, there’s a Demon-sourced 6.2-liter supercharged V-8. As you can see in the photos, it’s probably easier to name the parts that aren’t made out of carbon fiber than it is to list all the components that are. The result is a car with ’70s style, modern power, and a surprisingly low curb weight. The team also worked with Brembo to develop a braking system with 15-inch drilled and slotted rotors, six-piston front calipers, and four-piston rears. They then added 19 x 10-inch HRE S101 forged wheels in front, 20 x 12s in the rear, and Michelin Pilot Sport 2s all around. The Charger rides on a double-adjustable coil-over suspension. We’re not so sure about the docile part, but we’d certainly be happy to find out. The post Speedkore’s 1970 Dodge Charger “Evolution” Packs a Demon V-8 appeared first on Motor Trend.